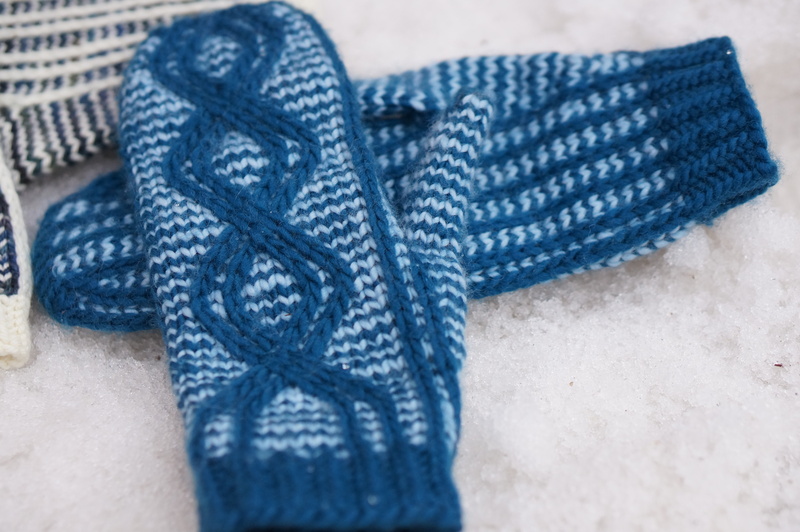 Here comes the last pattern from the Powder Day collection: The Heavenly Pullover. 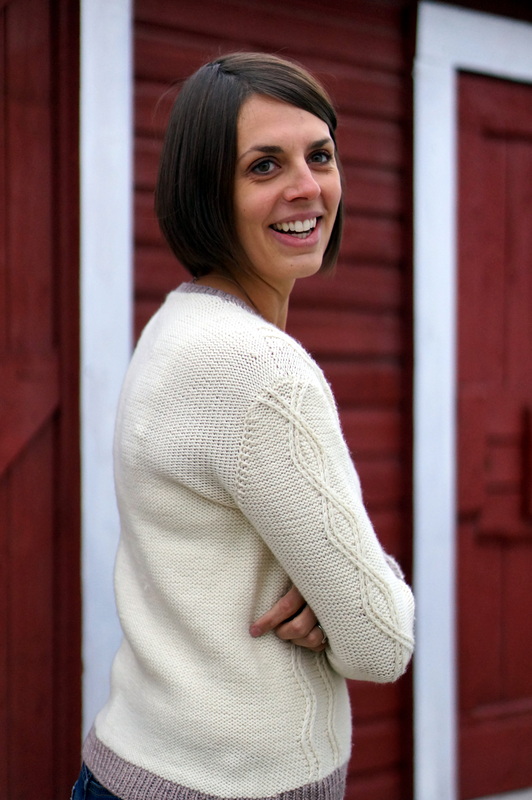 Heavenly is a top-down, seamless pullover with set-in sleeves. 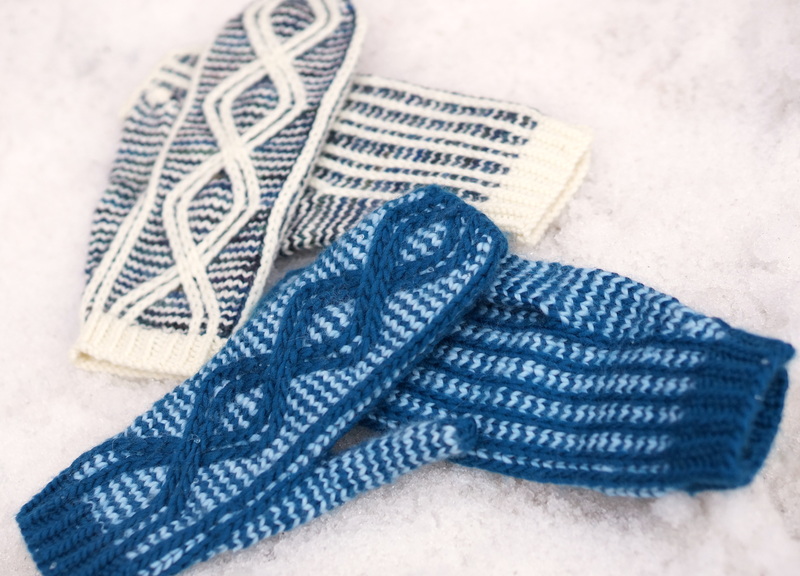 It features a central cable pattern reminiscent of skiers making figure-eight tracks in fresh powder. There are also skiers making side-by-side tracks down from the shoulders. The figure-eight cable also runs down both sleeves while the back is entirely reverse stockinette stitch. The pattern is available on Ravelry and will soon be available on Loveknitting.com for EU customers. 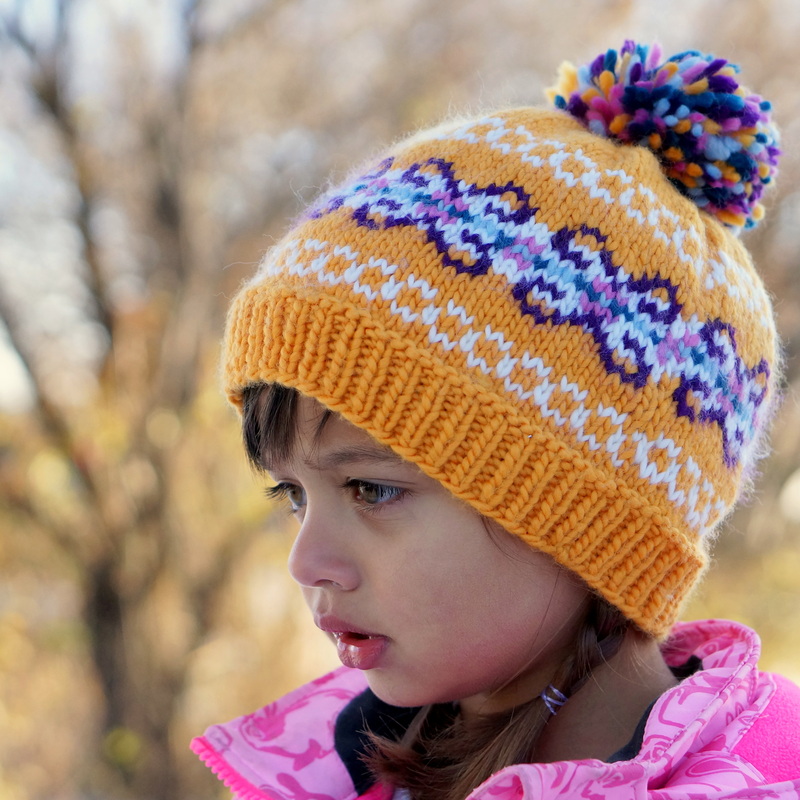 Until midnight on January 11th (my birthday), the pattern and the ebook will be available for 36% off. Thanks go again to Eleanor Dixon for technical editing as well as to my great testers. And a huge thank you to Jodi for being such a great model! I had so much fun with this collection, I’m kinda sad to be done. But! I’ve decided I like working in collections so you should expect to see more from me in the future. 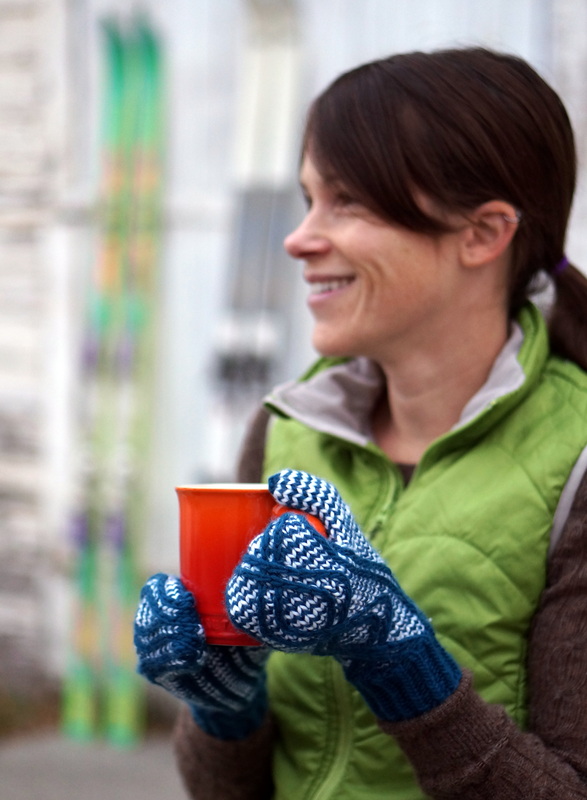 It’s time to release the Kicking Horse Mittens, the third pattern in the Powder Day collection. 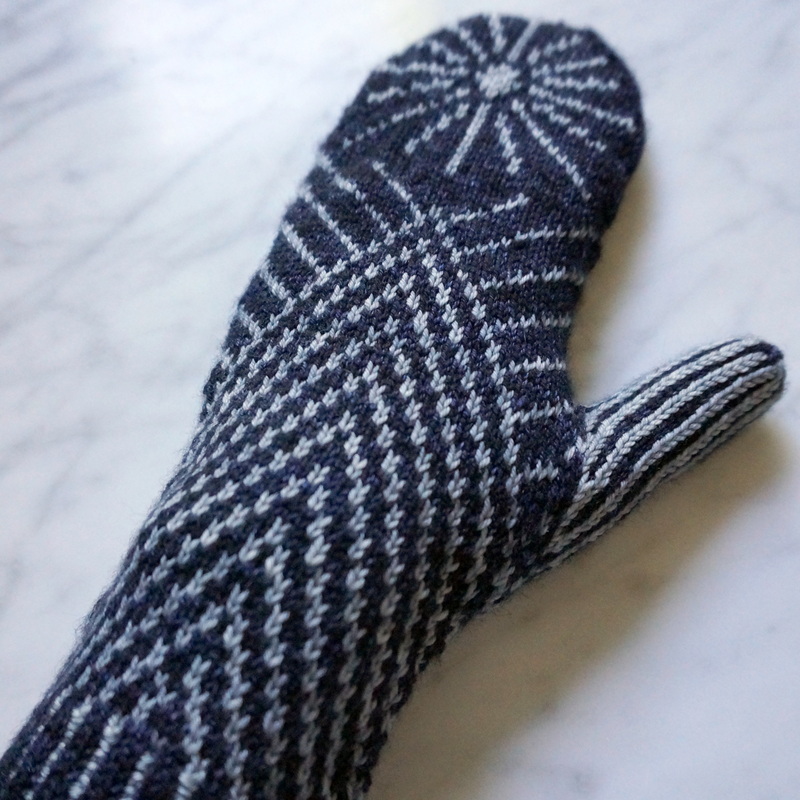 The slipped stitches, cables, and thick yarn of these mittens combine to give your hands great insulation on a cold day. 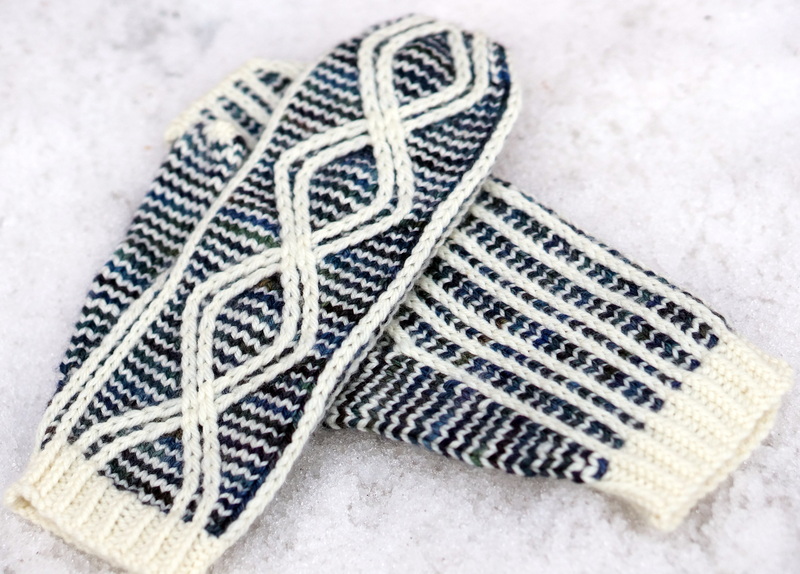 The pattern is written from the top down to accommodate various row gauges and hand lengths. Since it can be worked with different row gauges, it is adaptable for many yarns, from worsted to aran weight. The pattern is available on it’s own, or you can buy the whole collection in the Powder Day e-book. Thanks go again to Eleanor Dixon for technical editing. And my great crop of test knitters was invaluable this time around, encouraging me to eventually flip this pattern around and write it from the top-down. Finally, thank you to my long-time friend, ski buddy, and former roommate, Gillian, for modelling for me. 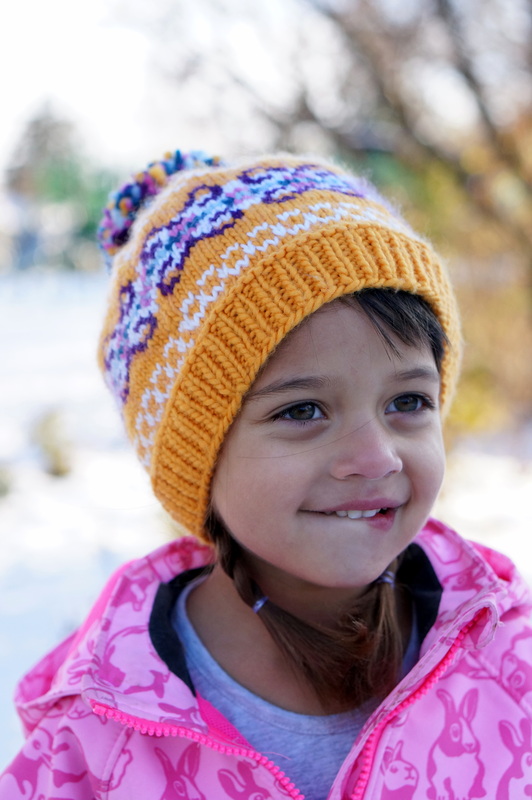 Check it out folks, I re-worked the Pippa Toque! The previous version was written with yarn that had been discontinued. Although most people are comfortable with substituting yarn, others like to use the exact one called for in the pattern. I have recently fallen in love with the vivid, saturated colours of Jil Eaton Minnow Merino yarn and thought it would be perfect for this project. I was right! I also wanted to update the pattern for more sizes and lay it out in my new pattern format. 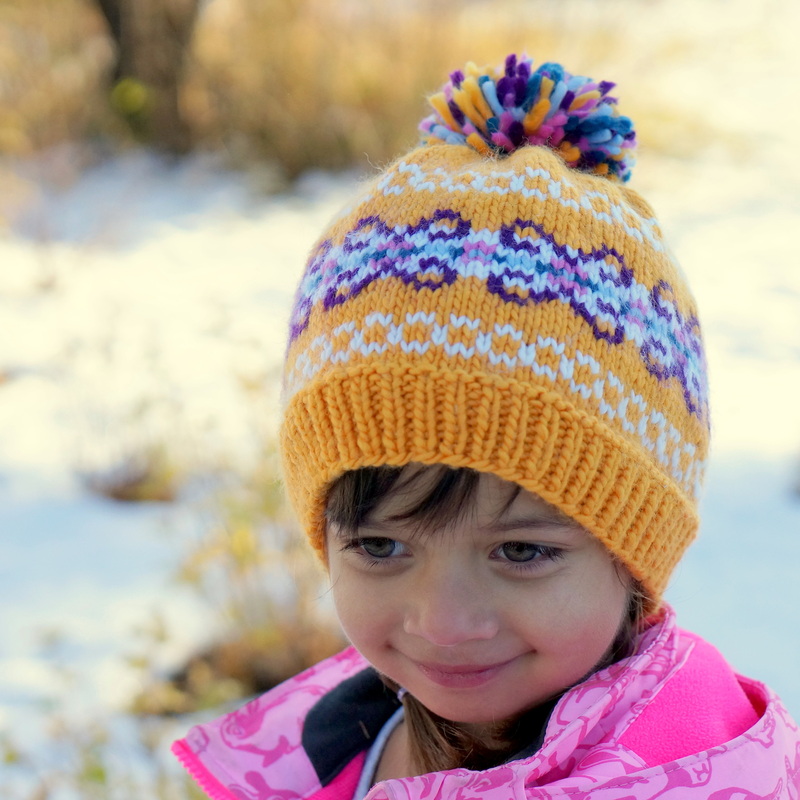 The pattern is now available in 5 sizes, from baby to adult. All of this updating happened in a bit of a rush because I needed to have it ready for a fun event that’s happening tomorrow. I’ll have a booth (for the very first time) at the Calgary Fibre Arts Fair! If you stop by you can see all of my samples and even grab a free print copy of the Pippa Toque pattern. There will lots of other vendors and classes going on, and I’ve heard there’s some great door prizes! Please stop by and say hi if you’re in the area! To find the free digital version of the pattern, click here! I hope you like it!